Is there really anything special about linear broadcast and pay TV delivery anymore? The words and actions of Disney suggest that not only is there nothing special, delivering direct with OTT video apps is a better way. Commenting on the service in October, Disney CEO Bob Iger said the company wants to “reach consumers directly and not through middlemen.” And there it is in plain English. Mr. Iger considers pay TV operators and other content licensors middlemen, getting in the way of the relationship between Disney and its customers. Though DisneyLife is only available in Europe, that statement must send shivers through US pay TV industry. Mr. Iger is being kind when he says there’s nothing wrong with linear television. There is, and he knows it. Internet delivery through an app does not just deliver a better experience of Disney’s shows and movies. It delivers two things television can’t: complete ownership of the experience, and 1st party data. Ownership of the experience means Disney’s brand is unfettered, undiluted, unmarred by any distributor brand. Disney has folded into the experience games and books, which it never could have done through pay TV operators. The company can also evolve the service in any way it likes, at the speed it needs to, without having to wait for a distribution partner’s support or permission. However, as my colleague Herve Utheza discussed on Monday, the real win is complete access and ownership of data about the users of the service. In the new world of media, this 1st party data is everything. It informs and improves every part of a media service. Shows and movies can be more closely tailored to the audience making them and the service stickier and more valuable. Price points for services and products can be tested and refined. Ads in associated sites and apps can be better targeted. And most importantly, it puts the company on an even playing field with other companies targeting Disney’s core audience, kids. Mr. Utheza posited that Google, among others, could be traditional televisions next big competitor. It seems he is right. Google’s YouTube just launched a kid’s app called YouTube Kids in the UK. The free ad supported app delivers a mix of kid’s favorites like Teletubbies and Wallace & Grommit as well as digital brands such as Little Baby Bum and Talking Tom and Friends. The BBC and Netflix are also targeting kids with specific services. Disney has made it plain that delivering via an app over the Internet direct to the audience is just a better approach for it and its audience. Disney is embracing the direct OTT video apps approach in the UK with its new DisneyLife service. 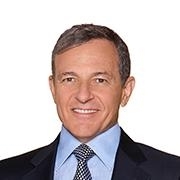 Disney CEO Iger says it is a better approach than through middlemen, like pay TV operators. This puts the company on an even playing field with competitors like Google, Netflix and BBC. It also shows that traditional television delivery can no longer compete in the world of new media. Doesn’t Disney’s 3-year, $900 million deal with Netflix, which kicks in on New Year’s Day, pretty much rule out the possibility of a DisneyLife app in the U.S., at least until 2019?